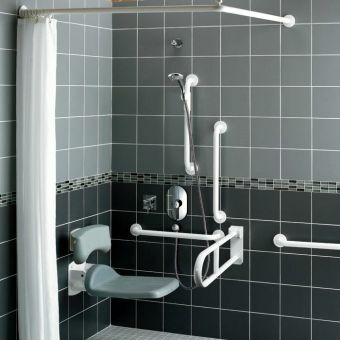 This wetroom pack with optional wall panels is designed to be a simple all-in-one purchase to help you create a wetroom quickly, knowing you have all the components you require. 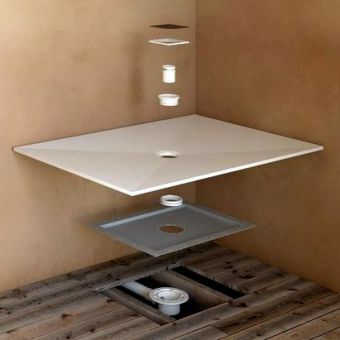 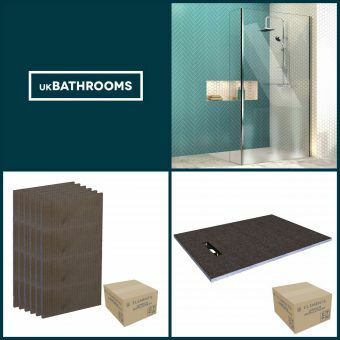 The tray former area and wall panels are designed to be tiled onto, to create a bespoke wetroom space with the tiles of your choice. 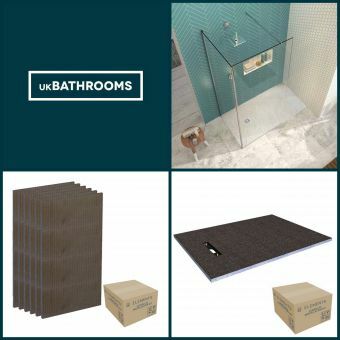 The floor and wall kits come with complete and comprehensive installation kits, the manufacturer Abacus have thought of everything and even include a trowel and gloves! 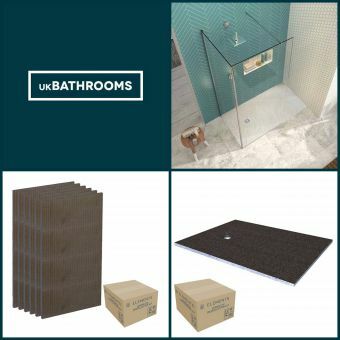 The waterproof adhesives and tapes will ensure everything remains completely watertight ensuring total peace of mind for your new wetroom project. 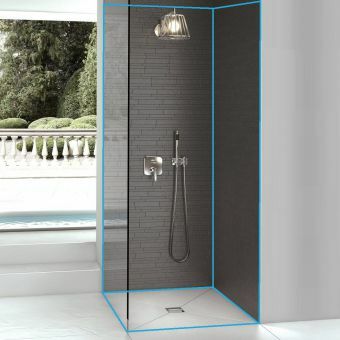 The glass screen is a 1200mm wide wet room panel by leading showering manufacturer Merlyn. 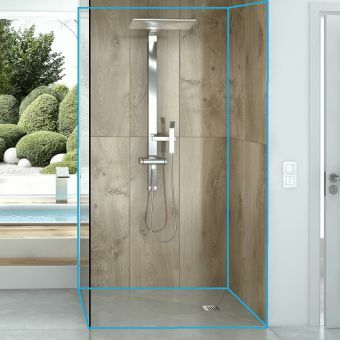 A fantastic minimal design with premium quality 8mm thick safety glass, Merlyn back up their wetroom screen with a lifetime guarantee. 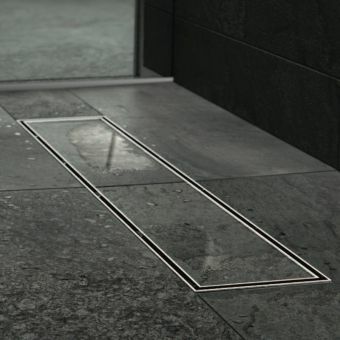 What’s more, the screen has an easy clean coating ensuring it stays cleaner for longer, resisting dirt and grime and even limescale deposits. 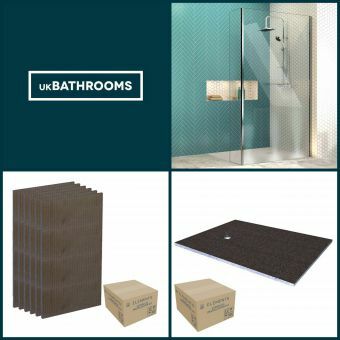 You can go wrong with this all in one kit, simply choose the tray size you require and the optional wall panel pack, the only thing you will need in addition is your choice of tile!